Found above the Ribbon, this toolbar remains constant as you move through tabs in ERDAS IMAGINE. You can add any tool or function to this toolbar by right-clicking and selecting Add to Quick Access Toolbar. You can also move this under the Ribbon if you prefer. We’ve redesigned this dialog to be even easier to use. Preferences are now listed in a folder-style tree structure and a bullet icon indicates if the preference has been changed. Click the bullet to reset the preference to the original default setting. Preferences for the Table of Contents pane are now included in the Preference Editor. Included is the ability to load thematic and vector legends directly into the Contents pane, saving you the trouble of loading these in a separate attribute window. The status bar on the bottom of the IMAGINE interface contains several helpful functionalities, including the ability to associate elevation data to an image. 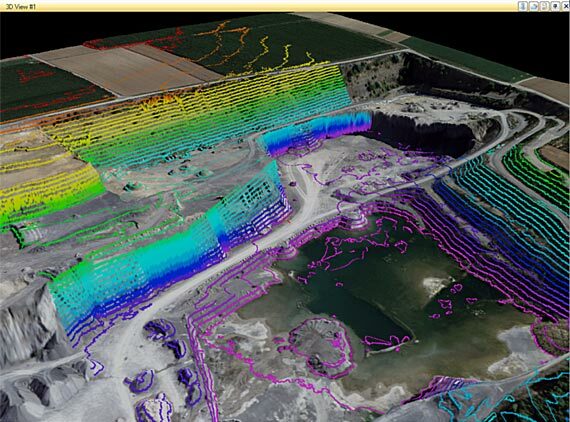 In the space to the left of the rotation indicator, click and select Add Elevation Source, then select a DTM that overlaps the imagery in the viewer. The elevation data will now populate this area when moving the cursor over the image. You can also do image rotation and on-the-fly coordinate conversion from the status bar. 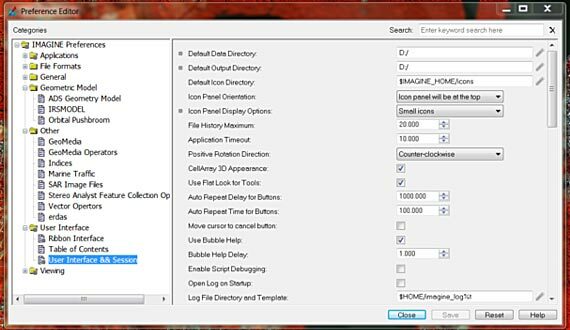 Any time you display the Select Input File icon, right-click on it to see the last 20 files used in IMAGINE. You can define the input or output files by selecting items directly from this list. Many functions within IMAGINE have hotkey shortcuts associated with them. To display the hotkey assignments, click the ALT button on your keyboard. First, use the hotkeys assigned to the tab. Then, once the tab is defined, more Hotkeys will display for the functions within that tab. For commonly used workflows, you can create a custom My Workflow tab. To create an add functions to a My Workflow tab, right-click on a function and select Add to My Workflow tab. Click on the new My Workflow tab to view the added functions. Use the Tab Editor to organize the functions and assign names to groups. 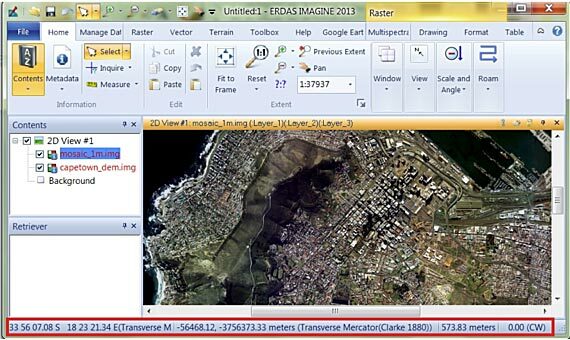 In ERDAS IMAGINE, it is easy to create vector contours, even from very dense point clouds. On the Terrain tab, open the Terrain Prep Tool. Load in all of the LAS files (or DEMS, or ASCII files, or 3D Shapefiles) from which you want to generate contours. No need to Mosaic them together beforehand! Next, select Process -> Surface. On the Contouring tab, check Output Contours, give the output file a base name, and click OK. The software starts by tiling out the data into manageable-sized pieces, and then creates the contours at the intervals you specified. Base Shadow Height – Derive the height of a feature based on the length of the shadow cast along the ground. Now, by measuring the shadow and using the sun elevation and azimuth recorded at the time of image capture, you can calculate the height of objects in your imagery! 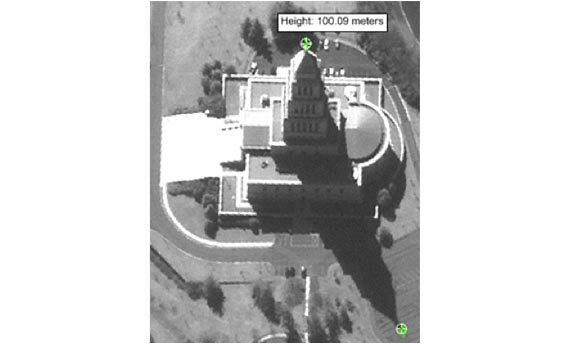 In the example right, the tower rises from the center of the memorial, so we need to use the Top Shadow Height option to measure the building. We place a point at the top of the spire, then a second point at the tip of the shadow. The software does the rest! And, just like before, you can save the measurements directly into vector attributes. 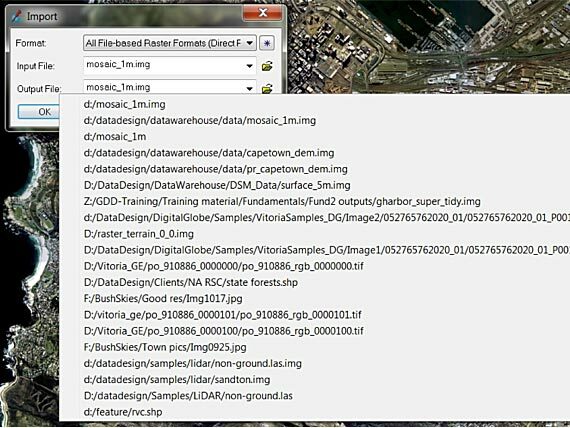 A geoworkspace only saves a link to the corresponding file (shapefile, mdb etc.) if these files are moved from the specified folder the link will be broken. 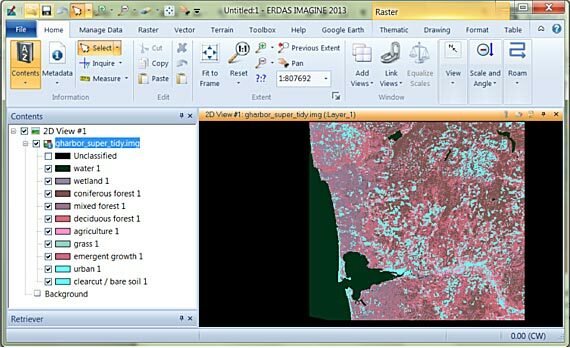 Upon opening the geoworkspace the link will have to be restored by pointing Geomedia to the corresponding folder. When saving tables/feature classes never leave a gap in the naming of the table/class as this will lead to these tables not opening.